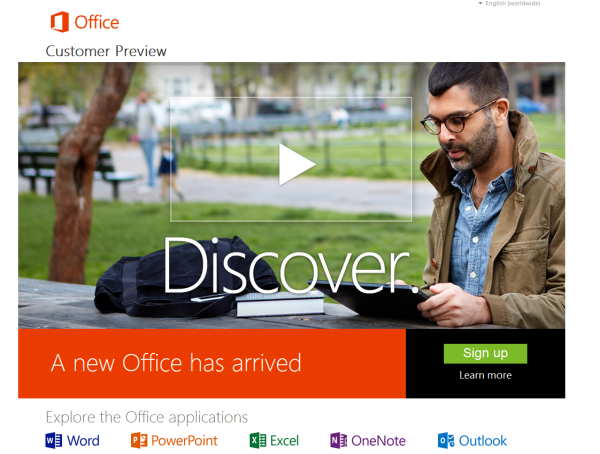 The Consumer Preview of the Microsoft Office 2013 (also known as Office 2013 with a codename Office 15) has been released and is now available to public. The easiest way to download them is to go to the Try Office Preview page and choose any of the four versions that has been released for testing purpose. The main focus of the Office 2013 was to work smoothly with Windows 8 although it will also work in the Windows 7 series OS. But sadly Office 2013 will not be compatible with XP and Vista. Office 2013 will also be touch screen friendly interface that would also allow users to use stylus to create documents and other content. In case if you are looking to download the Office 365 Home Premium, you need to have a Windows Live accoun to sign-in in order to download it. In the dashboard, you will be presented with the download options along with the one that includes switching over to 64-bit version of Office and change the language. The three new features included in the Office 365 are Windows 8, the Cloud and Social.